Enjoy the music videos with and by Armand Gutheim in connection to his music releases. Most welcome to send an e-mail on armand@motherearthartists.com. Music video to the new album "The Lost Memorial of the 1900s..." with Armand Gutheim & The Feel Harmonic Rockestra released on December 15th 2018. Runtime: 4 min. Starring: Armand Gutheim, Charlotte Assarsson and Yvan Auzely. Screenplay, music, lyrics and editing: Armand Gutheim. Photography: Charlotte Assarsson and Armand Gutheim. Directed by Armand Gutheim and Charlotte Assarsson. The video was shot at Kungsholmen, Stockholm. 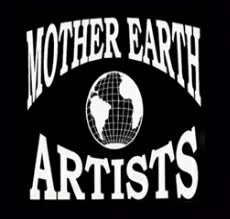 The music was recorded, mixed and mastered at Mother Earth Studio, Stockholm. Musicians: Armand Gutheim, Hans Müller, Simon Mårtensson, Yvan Auzely, Charlotte Assarsson, Sabina Gutheim, Sven-Olov Persson and The Nynäshamn Chamber Choir conducted by Karl Nicklas Gustavsson. Thanks to DansCompagniet and archive.org. Music video no 6 from the forthcoming new album "The Lost Memorial of the 1900s..." with Armand Gutheim & The Feel Harmonic Rockestra. Runtime: 6 min. Starring: Armand Gutheim, Charlotte Assarsson and Yvan Auzely. Screenplay, music, lyrics and editing: Armand Gutheim. Photography: Karl-Nicklas Gustavsson, Lennart Harrysson and Armand Gutheim. The video was shot at Haninge, Bromma, Kungsholmen and Norrmalm, Stockholm. The music was recorded, mixed and mastered at Mother Earth Studio, Stockholm. Musicians: Armand Gutheim, Hans Müller, Simon Mårtensson, Yvan Auzely, Charlotte Assarsson and The Nynäshamn Chamber Choir conducted by Karl Nicklas Gustavsson. Thanks to Haninge Cultural Center, Restaurant Heaven and archive.org. Music video no 5 from the forthcoming new album "The Lost Memorial of the 1900s..." with Armand Gutheim & The Feel Harmonic Rockestra. Runtime: 5 min. Starring: Armand Gutheim, Charlotte Assarsson, Yvan Auzely, Simon Mårtensson and Peter Lagergren. Screenplay, music, lyrics and editing: Armand Gutheim. Photography: Charlotte Assarsson and Armand Gutheim. Directed by Armand Gutheim. The video was shot at Östermalm, Norrmalm, Kungsholmen and Vasastaden, Stockholm. The music was recorded, mixed and mastered at Mother Earth Studio, Stockholm. Musicians: Armand Gutheim, Hans Müller, Simon Mårtensson, Yvan Auzely, Charlotte Assarsson, Sabina Gutheim, Sven-Olov Persson, Peter Lagergren and The Nynäshamn Chamber Choir conducted by Karl Nicklas Gustavsson. Thanks to The National Theater Center and archive.org. Music video no 4 from the forthcoming new album "The Lost Memorial of the 1900s..." with Armand Gutheim & The Feel Harmonic Rockestra. Runtime: 4 min. Starring: Armand Gutheim, Yvan Auzely, Simon Mårtensson, Charlotte Assarsson and Sven-Olov Persson. Screenplay, music, lyrics and editing: Armand Gutheim. Photography: Charlotte Assarsson and Armand Gutheim. Directed by Armand Gutheim. The video was shot at Bromma, The Old Town and Kungsholmen, Stockholm. The music was recorded, mixed and mastered at Mother Earth Studio, Stockholm. Musicians: Armand Gutheim, Hans Müller, Simon Mårtensson, Yvan Auzely, Niklas Rundquist, Charlotte Assarsson, Sabina Gutheim, Sven-Olov Persson and The Nynäshamn Chamber Choir conducted by Karl Nicklas Gustavsson. Thanks to Indoor Wingsuit and archive.org. Music video no 3 from the forthcoming new album "The Lost Memorial of the 1900s..." with Armand Gutheim & The Feel Harmonic Rockestra. Runtime: 5 min. Starring: Armand Gutheim, Charlotte Assarsson, Yvan Auzely and Simon Mårtensson. Screenplay, music, lyrics and editing: Armand Gutheim. Photography: Charlotte Assarsson and Armand Gutheim. The video was shot at Khao Tao, Hua Hin, Thailand, and at Bromma and Norrmalm, Stockholm. The music was recorded, mixed and mastered at Mother Earth Studio, Stockholm. Musicians: Armand Gutheim, Hans Müller, Simon Mårtensson, Yvan Auzely, Charlotte Assarsson and Sabina Gutheim. Music video no 2 from the forthcoming new album "The Lost Memorial of the 1900s..." with Armand Gutheim & The Feel Harmonic Rockestra. Runtime: 2,5 min. Starring: Armand Gutheim and Charlotte Assarsson. Screenplay, music, lyrics and editing: Armand Gutheim. Photography: Charlotte Assarsson and Armand Gutheim. Directed by Charlotte Assarsson and Armand Gutheim. The video was shot at Kungsholmen and The Old Town, Stockholm. The music was recorded, mixed and mastered at Mother Earth Studio, Stockholm. Musicians: Armand Gutheim, Hans Müller, Niklas Rundquist, Charlotte Assarsson and Sabina Gutheim. Thanks to The Tolkien Society in Stockholm and archive.org. Music video no 1 from the forthcoming new album "The Lost Memorial of the 1900s..." with Armand Gutheim and The Feel Harmonic Rockestra. Runtime: 5 min. Starring: Armand Gutheim, Lennart Harrysson, Charlotte Assarsson, Yvan Auzely and Simon Mårtensson. Screenplay, music, lyrics and editing: Armand Gutheim. Photography: Lennart Harrysson, Charlotte Assarsson and Armand Gutheim. Directed by Lennart Harrysson and Armand Gutheim. The video was shot at Skrubba and Solna, Stockholm. The music was recorded, mixed and mastered at Mother Earth Studio, Stockholm. Musicians: Armand Gutheim, Hans Müller, Simon Mårtensson, Yvan Auzely, Charlotte Assarsson, Sabina Gutheim and Sven-Olov Persson. Music video no 4 from the album "The Human Footprint" with Armand Gutheim and The Feel Harmonic Rockestra. Runtime: 4 min. Starring: Armand Gutheim, Yvan Auzely and Charlotte Assarsson. Screenplay, music, lyrics and editing: Armand Gutheim. Photography: Lennart Harrysson, Charlotte Assarsson and Armand Gutheim. Directed by Lennart Harrysson and Armand Gutheim. The video was shot at Kungsholmen, Stockholm. The music was recorded, mixed and mastered at Mother Earth Studio, Stockholm. Musicians: Armand Gutheim, Hans Müller, Yvan Auzely, Charlotte Assarsson and Sabina Gutheim. Music video no 3 from the album "The Human Footprint" with Armand Gutheim and The Feel Harmonic Rockestra. Runtime: 6 min. Starring: Armand Gutheim, Yvan Auzely, Hans Müller and Charlotte Assarsson. Screenplay, music, lyrics and editing: Armand Gutheim. Photography: Lennart Harrysson and Charlotte Assarsson. Music video no 2 from the album "The Human Footprint" with Armand Gutheim and The Feel Harmonic Rockestra. Runtime: 4 min. Starring: Armand Gutheim, Yvan Auzely, Hans Müller and Charlotte Assarsson. Screenplay, music, lyrics and editing: Armand Gutheim. Photography: Lennart Harrysson, Charlotte Assarsson and Armand Gutheim. Directed by Lennart Harrysson. The video was shot at Kungsholmen, Stockholm, and in Bangkok, Thailand. The music was recorded, mixed and mastered at Mother Earth Studio, Stockholm. Musicians: Armand Gutheim, Hans Müller, Yvan Auzely, Charlotte Assarsson and Sabina Gutheim. Music video no 1 from the album "The Human Footprint" with Armand Gutheim and The Feel Harmonic Rockestra. Runtime: 8 min. Starring: Armand Gutheim, Yvan Auzely, Hans Müller and Charlotte Assarsson. Screenplay, music, lyrics and editing: Armand Gutheim. Photography: Lennart Harrysson, Charlotte Assarsson and Armand Gutheim. Directed by Lennart Harrysson. The video was shot at Kungsholmen and Farsta strand, Stockholm. The music was recorded, mixed and mastered at Mother Earth Studio, Stockholm. Musicians: Armand Gutheim, Hans Müller, Yvan Auzely, Charlotte Assarsson and Sabina Gutheim.